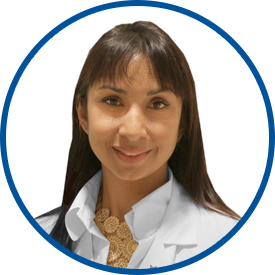 Dr. Sharma is board-certified, and she is a Fellow of the American College of Obstetrics and Gynecology. She received her medical degree from Sri Devaraj Urs Medical College, India. After completing a family medicine internship at Southern Regional Area Health Education Center in Fayetteville, NC, Dr. Sharma did a residency in obstetrics and gynecology at Thomas Jefferson University Hospital in Philadelphia. Dr. Sharma joined Westmed Medical Group in July 2007. Her special interests include adolescent health and minimally invasive surgery. She has had training in robotic surgery. She is affiliated with Greenwich Hospital and The Rye Ambulatory Surgery Center. Dr Sharma is very professional and makes me feel comfortable. She is patient with my questions and gives clear answers. I would definitely rx her to any of my friends/ family in need of a GYN. Dr. Seema Scharma is exceptional. She spends enough time with each patient to make sure you know she cares. I feel very confident, comfortable with my choice in choosing Dr. Seema as my GYN.